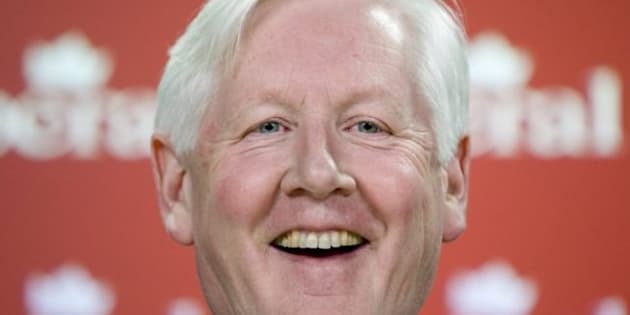 Fears that Bob Rae will use his position as interim Liberal leader to mount a powerful bid for the party's permanent job have materialized, sources in and out of caucus tell The Huffington Post Canada. “I’m still uncomfortable with what he schemed,” one Liberal, speaking on condition of anonymity, said. But others suggested the scenario should come as no surprise. “Anybody who wants to run should run and anybody who believes that Bob was genuinely going to be blocked from running was not taking an honest assessment of the situation,” former Liberal MP Mark Holland said. MPs and party members first raised concerns nine months ago that if Rae became interim leader he would have an unfair advantage compared to other potential leadership candidates. The interim leader’s job is a highly visible position and comes with easy access to the media, funds for parliamentary travel to crisscross the country, access to membership and donor lists and a large staff to help with communications and research needs. Despite Rae's pledge that he will not use the interim position as a springboard to permanent leadership of the party, some Liberals believed Rae’s team would successfully build a narrative suggesting that since their man was doing such an excellent job as leader, he should be given a shot at the real deal and that a consensus would build that he was the Liberals’ best choice. Now, on the eve of the Liberals' policy convention in Ottawa, the issue threatens to dominate discussions despite having no place on the official agenda. A fiery speech Rae delivered to his caucus raised eyebrows Wednesday, not only for the passionate attack against the Harper Government but for the staunch defence of his own personal record as Ontario’s former NDP premier vis-a-vis Conservative jabs. “Every time I show signs of life people say I’m running for the leadership, you know this is going a little far," Rae later told reporters. "This is really my job as interim leader. I was asked to do this job to be vigorous and effective, I’m trying to do that and that’s all I’m going to continue to do." But, when asked directly, Rae again, refused to rule out a run for Liberal’s top job . He also suggested that his willingness to leave the door open regarding the permanent leadership is not distracting from the party’s rebuilding efforts. “I don’t think it is at all, I think the rebuild is going very well,” Rae told reporters at the conclusion of the party’s first winter caucus meetings. CAN THE LIBERALS SUCCESSFULLY RENEW WITH RAE AT THE HELM PERMANENTLY? Many Liberals believe Rae should be freed from the agreement he made last May not to use the interim leadership to make a go at the top job, but they are convinced the party can’t be seen to deliver another coronation and that a real race is needed. Others believe Rae will never be able to represent the renewal the party is seeking. If Rae stayed on it would be divisive for the party, one senior Liberal told HuffPost. “It creates division, it creates a lack of trust, a credibility problem with this renewal, it creates cynicism, ‘there we go ahead, the same old, same old, backroom, stuff’… It’s not helpful," he said. Even some caucus members who’ve done a complete 180-degree turn and now want Rae as permanent leader, acknowledge his continued presence would deliver quite a blow to the Liberals’ message of renewal. “Yeah that’s the thing, but maybe we are putting too much stock into that (renewal). We wanted leaders with big ideas, we had (Stephane) Dion and (Michael) Ignatieff. You can’t have men with more ideas. But where did that leave us?” one MP confided. “Even if (Rae) plotted a conspiracy to take the interim thing and hopefully change their minds, even if he did, at the end of the day, you have to go well, he’s still doing a good job,” the Liberal added. The Liberal Party has gotten itself into jams by spending too much time trying to screw each other over during leadership bids, another caucus member said. “(Rae’s) already lost the leadership twice … We shouldn’t try to use technical rules to block him,” the Liberal said. Holland, the former MP who was defeated in Ajax-Pickering this May, told HuffPost democracies can’t ban citizens from running from office. “People have to be allowed to run … That having been said, we need a vigorous leadership process, we need a process that is going to be competitive and is going to be exciting. We can’t afford any type of coronation,” he said. Holland said he hasn’t yet decided whether he’ll run for the leadership but he acknowledged that Rae would be a formidable opponent. “Taking on somebody that has been the interim leader for a long period of time and had that institutional advantage is very difficult and it is by no means going to be an easy feat but it is something that must be done and we need good people to come forward," he said. WILL IT BE A FAIR LEADERSHIP RACE? It will be difficult for anyone to overcome Rae’s head start, another senior Liberal told HuffPost. “It’s very difficult to compete with the visibility you get as a party leader. Very difficult for anybody who ultimately declares and runs for this,” the Liberal said. “Rae might dissuade marginal candidates, but he might also coalesce people who want someone else,” another Liberal said, adding, “Bob is a pretty controversial figure." Former Liberal leadership contender Gerard Kennedy said Rae deserves the accolades he is receiving but that he'll still face a challenge from some undeclared candidates who are already organizing. Kennedy refused to name names, although it has been widely speculated that Liberal MP Dominic Leblanc may mount a challenge. Liberal MP David McGuinty and his older brother, Ontario Premier Dalton McGuinty, have also had their names bandied about. Kennedy also acknowledged that he hasn’t closed the door on the possibility of running himself. “There needs to be a fair contest and part of that may be making sure that no one has any particular advantages,” Kennedy said. Defeated Liberal MP Omar Alghabra urged Rae to declare his intentions sooner rather than later if he intends to run. WHO WILL FREE RAE FROM HIS PLEDGE? Although Rae has refused to categorically deny his interest in the leadership, he has stated it will be up to the new executive to relieve him from his pledge not to run for the permanent job. Eight new members of the national executive will be chosen this weekend, including a new party president. All the main challengers agree Rae should be allowed to run if he wants to. Rae told reporters, however, that it would be up to the executive on its own to decide on the policy change, he won't ask them for it. “I’m not asking anybody to do anything. Let me very clear, I am following the rules, I am doing my job," he said. Former Montreal MP Alexandra Mendes, a candidate for the presidency of the Liberal Party, told HuffPost she believes Rae would need to ask the executive to free him of his previous commitment. If she’s elected, she said, she plans to consult with Liberal members on the issue before making a final decision. Liberal MP Geoff Regan suggested the executive could make whatever decision it wants without waiting for direction from Rae. If a new president brought the issue forward, the executive would be hard pressed not to deal with it, he said. “I don’t think that if they don’t get a request from Bob that no one there can bring forward (their own) motion,” he said. Former Liberal cabinet minister Sheila Copps, who is also running for the presidency of the party, said she believes that since there are no officials rules banning him, Rae doesn’t need to ask to be freed from anything. The Liberals' three-day biennial convention officially begins Friday.